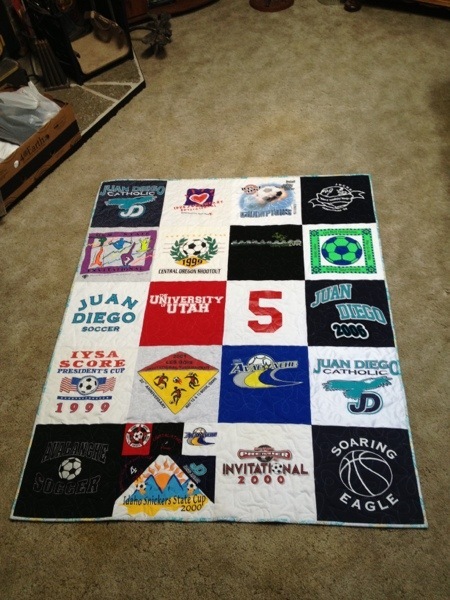 Archive for T-Shirt Quilt designs and projects in the studio. Springtime is always a renewal time for me. 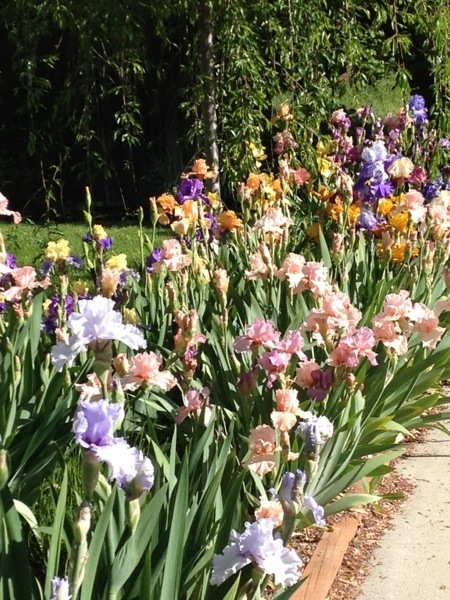 My gardens are begging to be weeded and planted and weeded again. 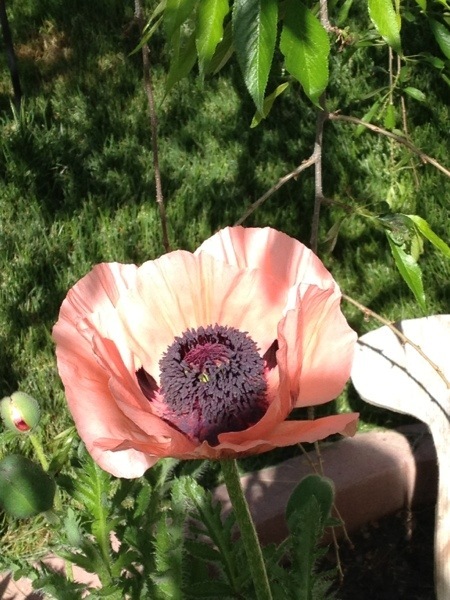 My flowers are blooming and I want to be outside enjoying them. 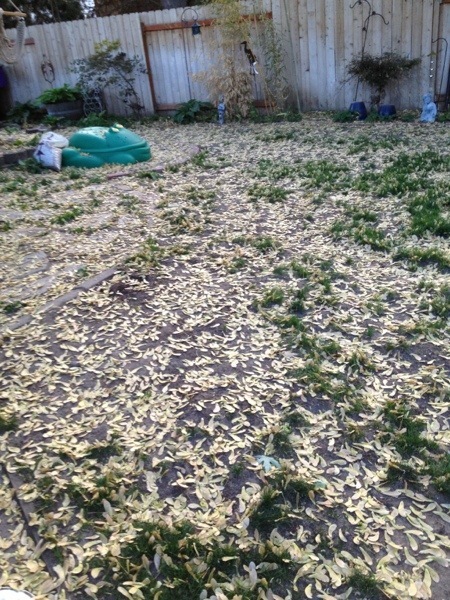 And my silver maple tree is dumping helicopter seeds everywhere. 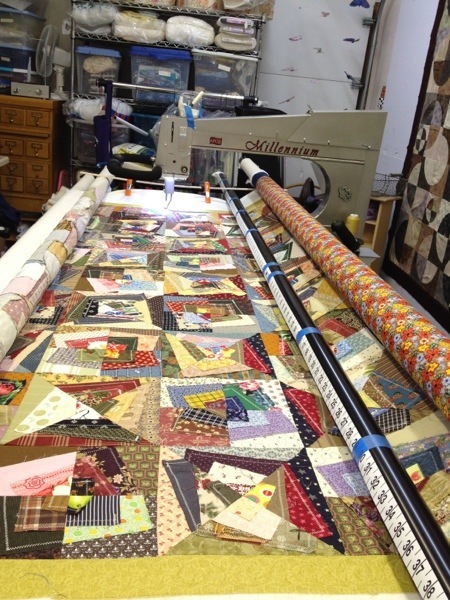 Then there is the quilting projects that are also keeping me very busy. 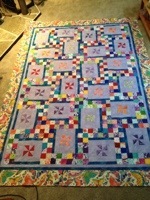 I finished this great quilt. 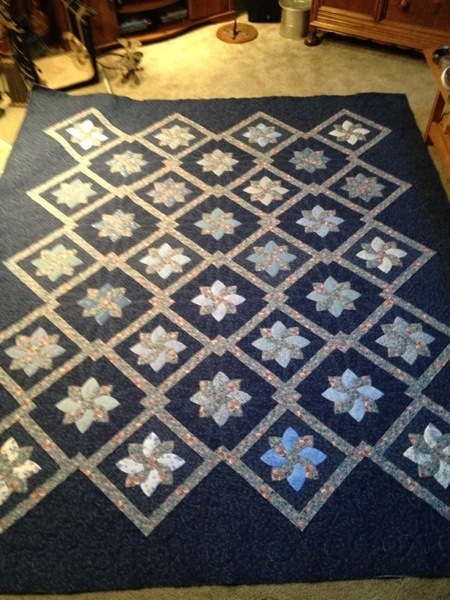 I also completed this beauty as well. 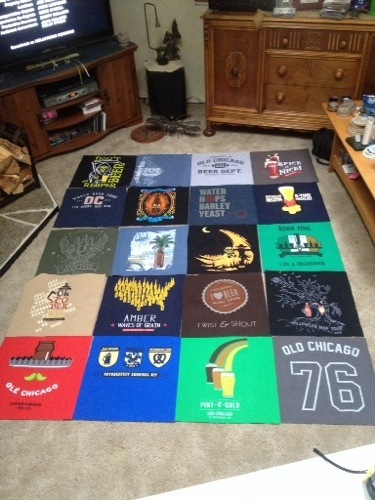 I completed this T-shirt quilt. 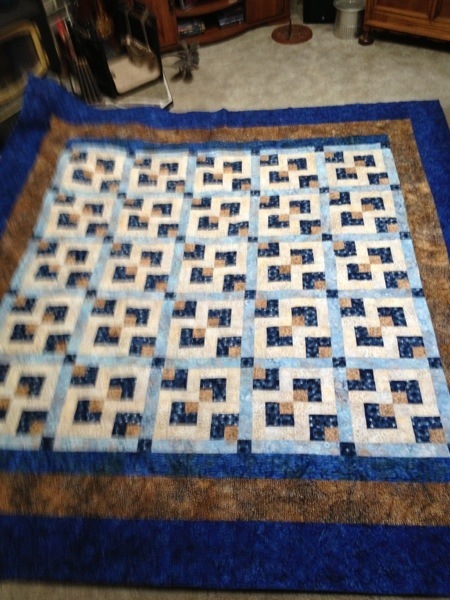 I have a memory wedding quilt in the frame, and I stayed up late last night to cut the strips for the memory quilt that is next on my project list. It is hard to believe that we are in the beginning of August already. What happened to all my time to get things done this summer? It seems that this happens every year about this time. I think about all the things I had planned to do and what is still on the list. 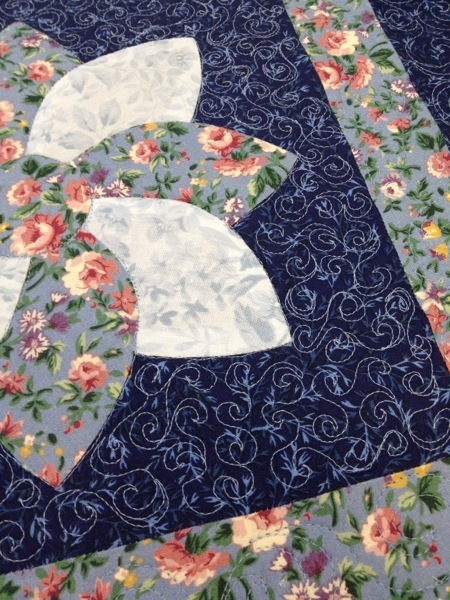 I have been very busy with the gardening, time spent becoming a Master Gardener through the U of I program, basic yard work, organizing (seems like I am always organizing), and quilting, quilting, quilting. 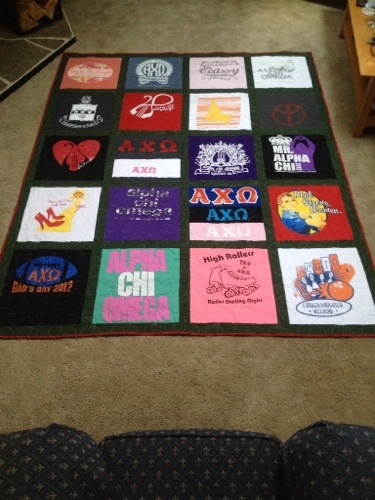 This great quilt was soooo much fun to quilt. 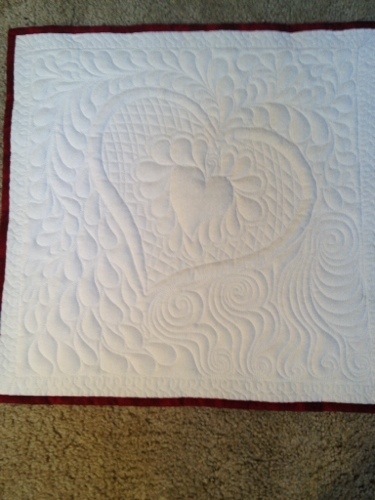 It is one that just made me smile as I quilted it. 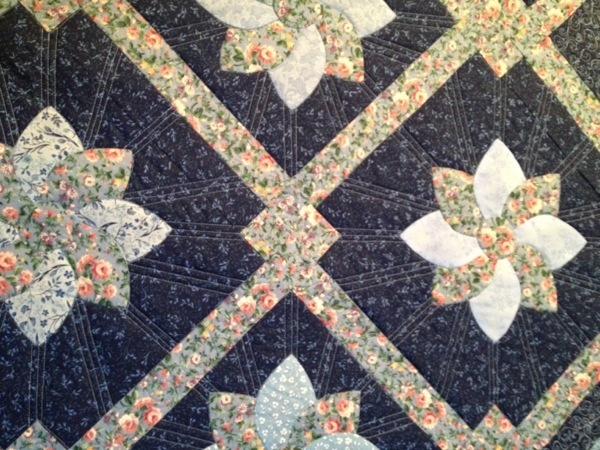 It had fabulous butterflies in the border fabric. 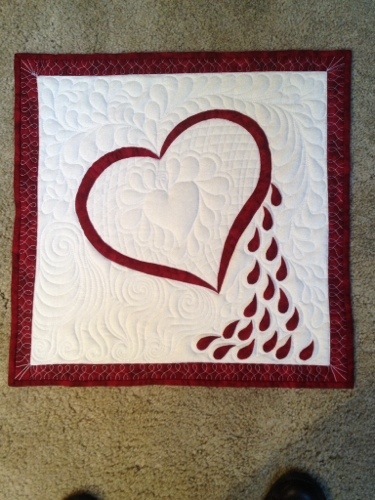 I traced one of them as a template and then randomly traced around the template on the quilt top. 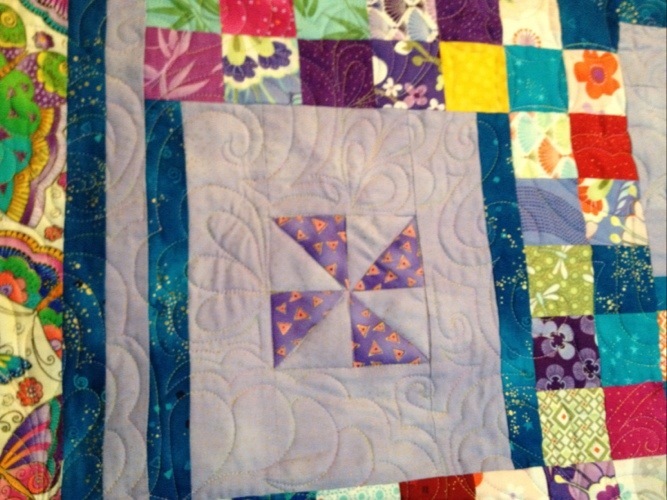 That gave me a great place to echo quilt as I quilted feathers, swirls, leaves, vines, and butterflies. 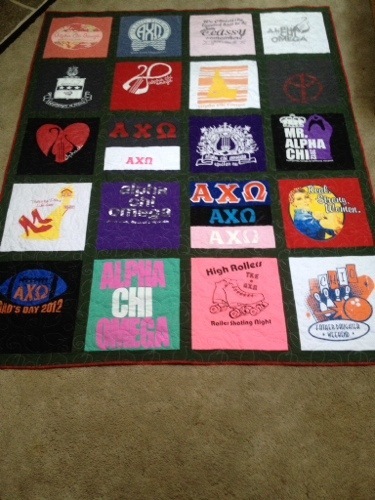 This was such a great top. 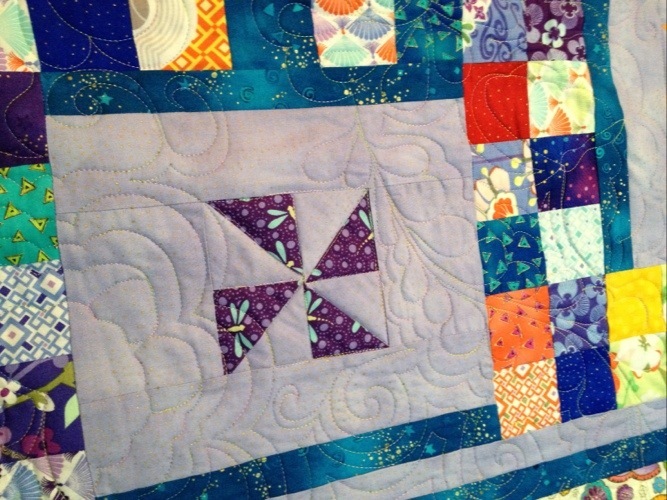 Great music, great fun top, fabulous thread (thanks to my sister), and away I quilted. 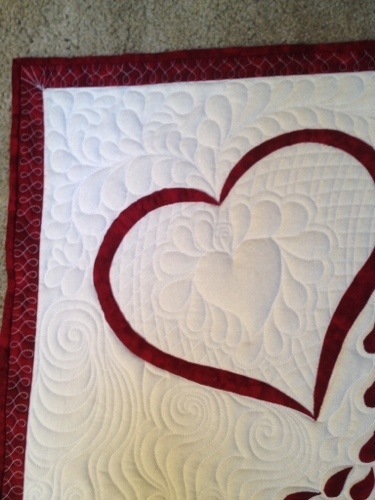 Free motion quilting unleashes my creativity and just makes me smile. Enjoy the time you have to do the things you like, the things on your to do list will wait until you get to them.